We may change this Policy from time to time. If we make changes, we will notify you by posting the updated policy and revising the "Effective Date" above. Use of the Services after the posted Effective Date means you accept the current version of the Policy, including any changes made prior to the posted Effective Date. If we make any material changes to this Policy, we will also notify you by email or by means of a notice on the Services. We encourage you to review the Policy whenever you use our Services to stay informed about our information practices and the choices available to you. Location Information: We may collect different types of information about your location, including general information, such as the city, state and/or zip code associated with your IP Address, and, if you agree, more specific location information that is provided through the GPS functionality on mobile devices used to access the Services. We may use such location information to customize the Services, including advertising that is presented to you. For example, if you provide a zip code that indicates that you live in New York, the Services may be customized with New York-specific information, features, and advertisements. In order to do this, your location information may be passed along to our affiliates, agents, vendors or advertisers. Options you have to control the automatic collection of location information are explained below under "What Are My Choices". We do not disclose your information except in the limited circumstances described below and in the Cookies Policy. By accessing and using the Services, you consent to us sharing your information under the circumstances described in this Policy and the Cookies Policy. You have a right at any time to stop us from contacting you for marketing purposes. 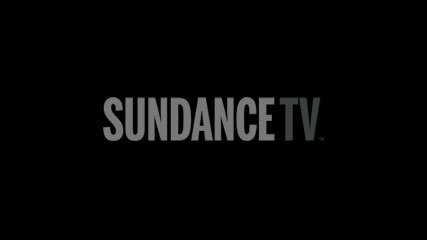 When you receive promotional communications from us, you may indicate a preference to stop receiving further promotional communications from us and you will have the opportunity to "opt-out" by following the unsubscribe instructions provided in the promotional e-mail you receive or by contacting us directly at feedback@sundance.tv. Despite your indicated e-mail marketing preferences, we may still send you relationship and/or transactional e-mails regarding the Services, including, for example, administrative confirmations and notices of updates to our Policy, if we choose to provide such notices to you in this manner. You have the right to request a copy of the information that we hold about you that identifies you personally. If you would like a copy of some or all of this information, please contact us at feedback@sundance.tv. We may charge a reasonable fee for this service. We want to make sure that your information is accurate and up-to-date. You may ask us to correct or to remove information that you think is inaccurate. We also provide you with tools and account settings to access or modify some of the information you provided to us and associated with your account. California law permits users who are California residents to request and obtain from us once a year, free of charge, a list of the third parties to whom we have disclosed their "personal information" (as defined under the California Online Privacy Protection Act), if any, for their direct marketing purposes in the prior calendar year, as well as the type of "personal information" disclosed to those parties. If you are a California resident and would like to request this information, please submit your request in an email to feedback@sundance.tv. 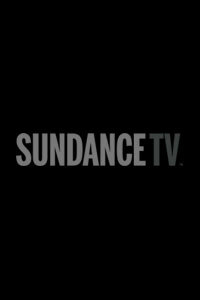 If you have questions or concerns about our Policy, please contact us at: feedback@sundance.tv. © 2019 AMC Networks Inc. All rights reserved.